Latest Stuff of 5 tips to improve your resume today to get more and more interview calls. So, After so much surveys and according to latest talk of the town we are presenting you something which is most of freshers are looking for. Get best 5 Tips to improve your resume are fed up with doing job hunting and even after putting a lot of efforts and beside having a good qualification, you are unable to land in to your deserving job then may be something can be wrong with your resume. Resume acts like a representative of your work, skills and accomplishments etc. Whatever you have achieved so far. It is damn true that resume is the entry ticket to the corporate world. As resumes and CV seem to be so important then why to take them in a light manner. It’s time to improve your resume because they can open a door for your wish opportunity, hence should be maintained in a proper format. Here are 5 tips to improve your resume, so that you can give a complete makeover or modification to your resume. The first step to improve resume is to choose an official format. It is believed that a format which can wind up the resume in one page is the best format. You can also choose a format according to your preferences which can show your achievements concisely and boldly. You can also add a little summary to your resume consisting of your current position and past roles/achievements or can use a table format to enlist education qualifications. While explaining your capabilities, write them in to bullet points. Generally, recruiters received a ton of resumes everyday so they don’t have enough time to read the paragraphs of your resume. Therefore, always try to limit yourself in the bullet point format to give a attractive and professional look to your resume. Always add hyperlinks to your email address, LinkedIn profile, professional blogs etc. in your resume for the recruiter reference. People who use hyperlinks in their resumes have more chances to get selected because these hyperlinks show directly your professional work to recruiters and create a trust for you. Rather than considering yourself as a first person, use the active verb form like worked, developed, experienced etc. to represent your resume elegantly and get noticed. Don’t use the same words repeatedly instead of look for short phrases. Although formatting resume is just like making a marketing document in which you hike your accomplishments and try to sell yourself but be true in mentioning your capabilities. Avoid lying or giving any wrong information about you otherwise it can create a wrong impact on your recruiter and minimize your chances for job selection. Usually, people are more confident when their resume correctly reflects their personality. Hope these 5 tips to improve resume for getting interview calls will help you in improving your resume and bring fruitful result in your job hunting. 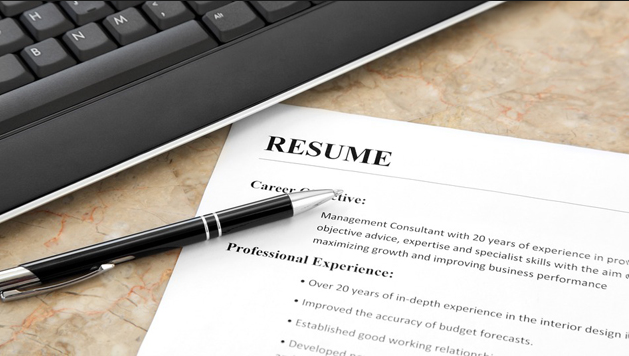 Just Optimize your resume or CV with these 5 tips and get interview calls.